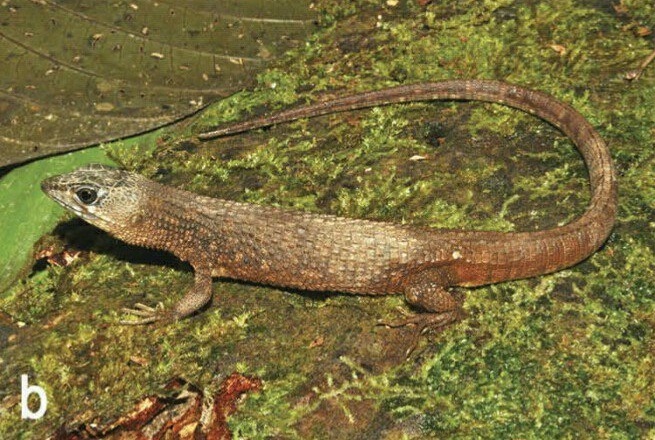 The gymnophthalmid lizard genus Neusticurus Duméril and Bibron, 1839 currently contains six described species. One of them, Neusticurus rudis Boulenger, 1900 has a long history of taxonomic confusion, and uncertainty remains about the number of species involved under that name, especially in the Pantepui region. Our molecular phylogenetic (concatenation and species tree) and morphological (morphometrics, external and hemipenial morphology) analyses confirm Neusticurus rudis as a species complex with several candidate species in the eastern Pantepui region. Neusticurus rudis is here redescribed based on the re-examination of the holotype and 10 specimens from the vicinity of the type locality (ca. 15 km airline) in Guyana. The geographic distribution of N. rudis sensu stricto is restricted to east of the Venezuelan Gran Sabana, extending from the slopes of Mount Roraima in Venezuela through the slopes of Maringma-tepui and Wayalayeng to Mount Ayanganna in Guyana, between 678 and 1500 m elevation. Populations tentatively assigned to N. rudis also occur from Mount Wokomung in the Pakaraima Mountains of Guyana to the Iwokrama Forest Reserve in Guyana, between 159 and 1234 m elevation. 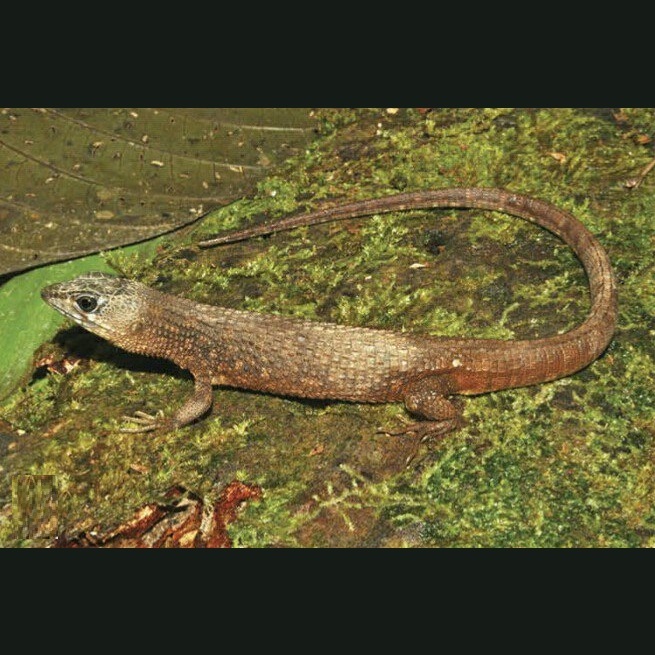 A new Neusticurus species is described from the uplands and highlands of the eastern Pantepui region, west of the Venezuelan Gran Sabana in Brazil and Venezuela, between 900 and 2200 m elevation. Populations provisionally assigned to the new species were also found from the La Escalera region to Chivatón, the summit of Abakapá-tepui and the slopes and summit of Auyán-tepui, Venezuela, between 1100 and 2203 m elevation. Our results suggest the Gran Sabana as a possible recent biogeographical barrier for the genus in the region and indicate that tepui-summit Neusticurus populations derive from uplands populations that shifted their habitat preference. Neusticurus arekuna, male paratype from Pacaraima, Brazil, in life (MZUSP106223). Etymology The specific epithet is a noun in apposition honouring the Arekuna tribe (also known as the Pemon tribe) that lives in the region of Pantepui where the new species was collected.